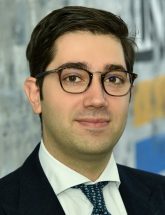 Mihai is a Senior Associate in the investment department at Colliers International. Mihai joined the company in 2016 as Head of Strategic Analysis. In this role, he carried out the research activity, analysis and reports on the Romanian real estate market. Previously, Mihai served as senior economist at UniCredit Bank, where he focused on the evolution of the economy in Romania and Central-Eastern Europe, worked to encourage foreign investment and studied the evolution of the banking system in Romania.